Bow hunting is an amazing experience. It works your body and your mind, helping you connect with your primeval side. But if you want to take precise shots and therefore humane kills, you need a reliable bow hunting range finder. And you’ve come to the right place for that. We’re here to help you with our input, by analyzing the decision-making factors in the first part of our article. This short how to choose guide is followed by a review section, where we’ll tell you all about the best-sold products today. All this info is summarized in the table below, so you can come back to it after you read this article and make the best choice. There are various things to take into account prior to getting you very own rangefinder, but your purpose is the deciding factor. That’s why we discuss all the characteristics below in terms of your needs on the field. For bow hunting, you need a medium magnification, of about 4 to 6x. That’s great for the medium-sized game, and it also works well with a medium-long range. 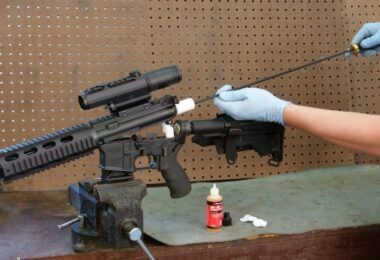 A bigger magnification isn’t for bow intended rangefinders, but rather for rifles or other weapons. The lens diameter is also important in terms of light transmission. Most rangefinders for bow hunting don’t have a big diameter as is, so they won’t be great in extremely low light. Some brands compensate this either by a better lens coating to increase the image brightness or a patented technology for the display. The distance at which most bow rangefinders get to doesn’t go past 1000 yards, but that’s just the rule of thumb. 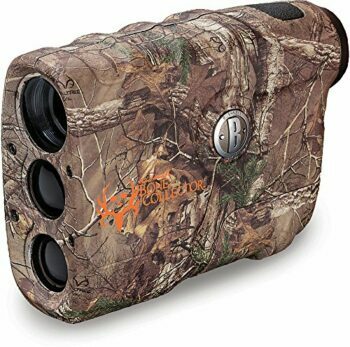 There are rangefinders designed for golf or for rifle hunting which can be used for bow hunting too, and these range to a bigger distance. Just make sure they also have a bow mode. However, the maximum stated range is just for reflective targets, not for trees or game. Also, it might be way smaller in the bow mode, but it serves so you can make an idea of how you can use the rangefinder. It’s really important to get an accurate device, and we’re not just talking about the stated accuracy in the official specs. The +/-1 yard range is great, but you might stumble upon a rangefinder that has a better, +/-0.3 yards accuracy, for instance. Just make sure the rangefinder you get is precise enough for your purpose. If you’re brush hunting, you need one that distinguishes animals from their background, so it works with dark targets well too. It’s important to get a class 1 laser because that shows a higher degree of performance. When you’re bow hunting, you need a very precise measurement and a good laser contributes to that. You’ll also see different wavelengths for the lasers. The smaller the wavelength measurement, the better it would be in terms of energy output and battery life. The GPS based rangefinders are great for golf or for situations when you can measure the distances you need in advance. 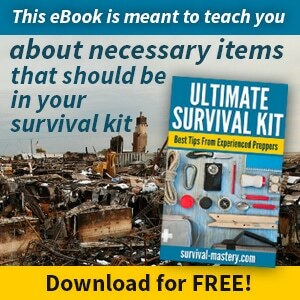 However, you can still use it for bow hunting, even though the location of your next target is wholly unpredictable. 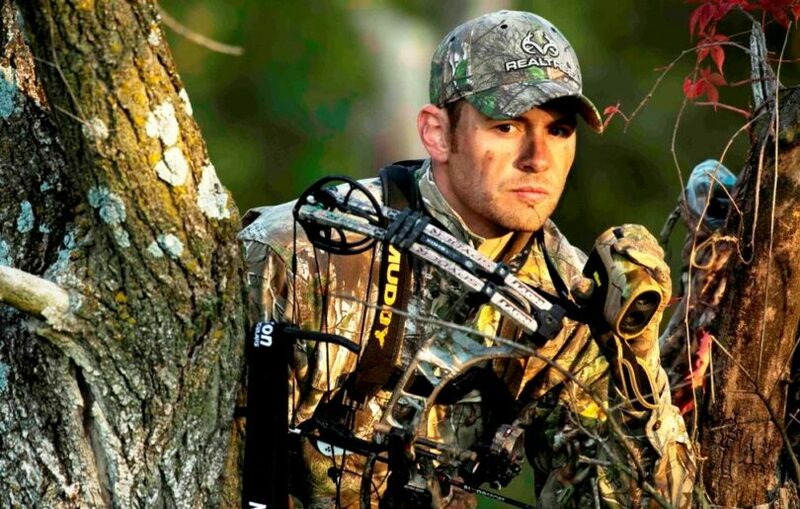 The modes you need for bow hunting are at least scan and angle compensation. The scan mode enables you to take into account various targets that are on the move. Angle compensation takes into account elevation, and it’s great for tree standing. You’ll see this last mode appear under different names throughout this article. There are certain rangefinders with more modes though, and that’s always a perk in terms of versatility. 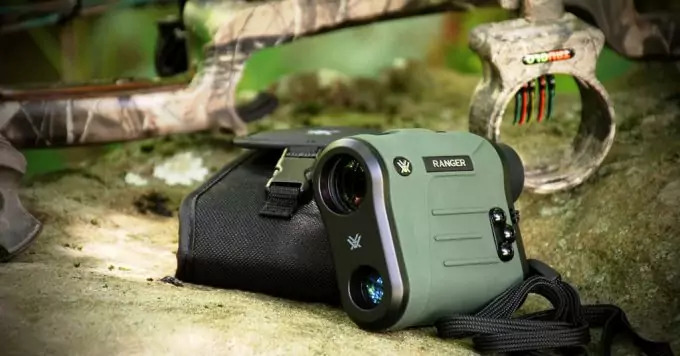 There are also rangefinders designed for rifle hunting or golf, so check if these have a bow mode or the modes above. If not, you might still use them for archery or not specialized hunting. 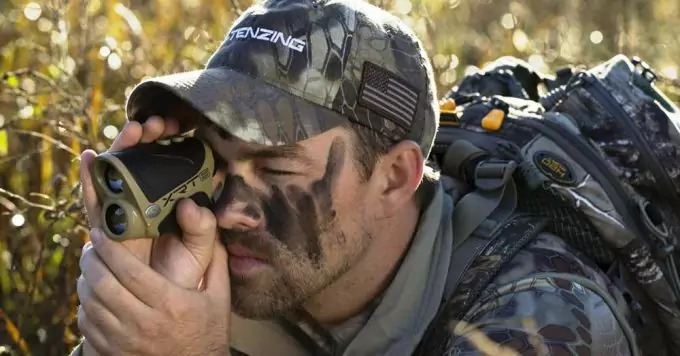 Since you’ll be out hunting possibly quite frequently, you need a durable rangefinder. Plus, bad weather is when it’s best to go out in search of your next game, so you need a rain proof rangefinder. The fog proof feature is a definite pro point, and the dust proof items are even better. With all these features to consider, we can now move on to our favorite items. 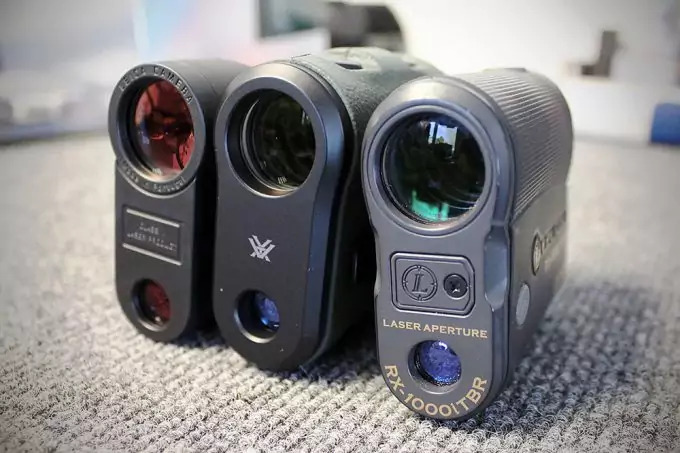 The rangefinders we’ll talk about are all pretty affordable, but they’re different enough to make out a wide pool for all your purposes. We’ll discuss their official specs, we’ll tell you what we love about them, and also what we don’t like. Hopefully, all that info will help you make a great decision. 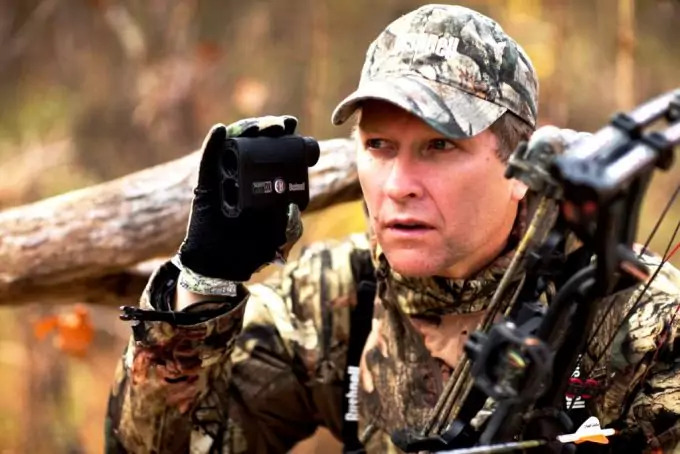 The Bushnell The Truth Laser Range Finder is a qualitative rangefinder that has the Bushnell guarantee in terms of materials, craftsmanship, and durability. That’s because this brand tests all its products to ensure good performance on the field. We love this device for bow hunting especially because it has a specific bow mode, where the distance ranges between 5 and 99 yards. You also have the ARC technology, which takes the angle and elevation into account, for tree standing. However, if you’re out hunting deer, the maximum distance is 200 yards. We also like how versatile this rangefinder is. With the ARC and bow mode combined, you can even use this rangefinder to your rifle. And you’ll get accurate measurements up to 850 yards maximum, for reflective targets. The magnification is 4x, enough for medium-long distance bow hunting, particularly larger animals like deer. But it doesn’t do so well when it comes to recognizing darker targets. It’s also fairly easy to use this device since it’s operated with just one button, but that means you’ll have to learn the controls. The ClearShot technology is another plus, you’ll get feedback instantly if you can shoot so you don’t need to worry about the brush. On the other hand, there’s a slight ringing sound when you turn it on, which might scare away nearby game. The class 1 < 0.5 mW laser is amazing, though. Related: If you’re out in the wilderness often, you might be into nature observation too. In this case, we recommend the Stealth Cam G42 Game Camera. It’s an inexpensive gadget that’s easy to use and captures 1-9 images each time you trigger it. The Crenova LR600 Golf Range Finder is a heavier rangefinder, but it still works great on your bow. Though it was originally designed as a golfing rangefinder, its characteristics render it great for bow hunting as well. First, the Pinsensor technology used helps identify each target, even when they’re obscured, which is a perk for brush hunting. However, the Pin seeker doesn’t work that great when the target is more hidden. Secondly, you get a 6x magnification which enables you to see minute details at a range of 4 to 656 yards, with a +/- 1 yard accuracy. On the other hand, you need a steady hold of your bow when you’re using it. 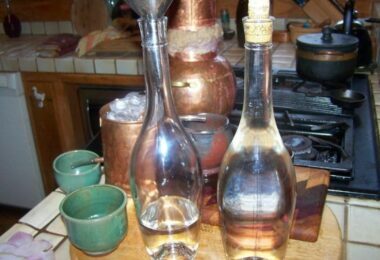 Otherwise, it won’t give out accurate measurements. Then, there’s the scan mode that allows you to keep track of multiple targets that move, even the smaller ones. And the fog mode is particularly intended for those cold, rainy days that are perfect for hunting. We love the waterproof construction, the multi-coating, the adjustable focus and the in-view LCD display. These are characteristics that show great craftsmanship and user focus, though we would have liked to see more detailed instructions. Plus, you’ll get a complete package with included bag, strap, cloth and 3v-CR2 battery. Related: If you’re out on the field a lot, you need to stay hydrated. That’s why we recommend The Coldest Water Bottle, an amazing 32 ounces bottle that keeps your beverage cold up to 36 hours. Or you might want your drink hot, in which case, this stainless steel, vacuum insulated bottle can help keep it warm for up to 13 hours. The TecTecTec ProWild Hunting Range Finder is a reliable rangefinder for a longer range, seeing as you’ll get good shots up to 540 yards for reflective targets. The +/- 1-yard accuracy is great in terms of performance, particularly for bow shots. And we do appreciate the high 6x magnification, that makes it possible for you to see minute details and even hunt smaller game. On the other hand, this rangefinder does entail some problems for low-reflective targets that can’t be seen as well. Another issue is the functioning in a faint light. Since the lens diameter is just 24mm wide, that doesn’t let a lot of light pass through the lens, so you won’t get a clear image at dusk/ dawn. However there are multiple layers of coating applied, so that contributes to making the image a bit brighter. We love the multiple modes this rangefinder has: scan, hunt, and speed. That means you can either follow multiple targets at once, follow just one, or focus on the moving targets. You can do that courtesy of a built-in powerful class 1 <0.5 mW laser, but the laser dot is pretty hard to see when you project it. Other than that, you can rely on this item’s resistance to water, so you can go hunting even in rainy weather. And you get a lot of items in a complete package, like the included case, cloth, CR2 battery, and lanyard. 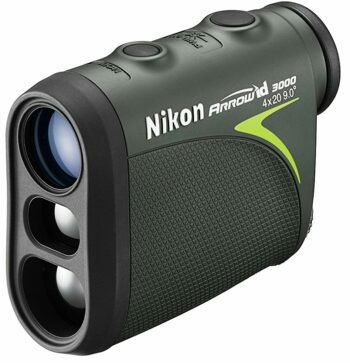 The Nikon Arrow ID 3000 Laser Range Finder is a reliable rangefinder for the money. You’ll get a 4x magnification which makes it great for bigger size game, like deer, but not so much for varmint. The 18 mm lens diameter is also a bit small for optimal light transmission and bright images in low light conditions. However, we love the ID technology that takes into account both the incline and decline when making the measurements. You’ll also get an 8 seconds scan mode for ranging various targets, some of which move. And the 20.3mm eye relief is long enough so you can see and range your targets effectively. The measurements are displayed in 1 yard increments, up to 550 yards for reflective targets. The maximum range for deer doesn’t exceed 200 yards, though. And you’ll get a class 1 <0.0975 mW laser, which is powerful enough and saves energy. The display is also clear and fairly easy to read. And we love the neoprene case included, as well as the fact that this is a waterproof and fog proof device. On the other hand, there are some items it doesn’t read when you need it the most, and you would have to push the button a couple of times before it does. Related: This device needs a 3V CR2 battery to work, so we recommend getting three from the get go. The Viridian CR2 3 Volt Lithium Battery 3-pack is great, considering it has an extended durability and comes in a nice, compact package so you won’t lose batteries. The Bushnell G-Force DX Laser Range Finder is the rangefinder you need for the long range. 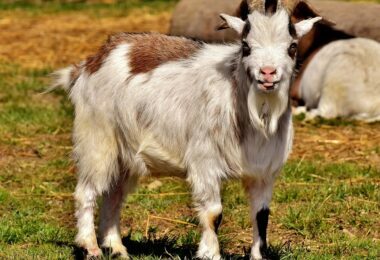 The reason is it works between 5 to 1300 yards, even though you need to shave off a couple of hundred yards for deer hunting. You also get a 6x magnification for minute details, though you may be after a smaller game. The 21 mm diameter for the lens might not make it perfect for dim light, but the Rain Guard HD multi-coating works for increased image brightness. We also love the Vivid Display Technology that makes the measurements easy to read in a faint light. On the downside, the display is difficult to read both when it’s really sunny out and when it’s really dark. That said, the class 1 <0.5 mW laser is powerful enough, and the accuracy is strong with this one, at +/-0.5 yards and +/-0.1 yards display accuracy. We love the ARC technology that takes the angle you’re shooting at into account for extreme precision. And we appreciate there’s a bow mode specifically for bowhunting, as there’s a rifle mode too. That makes this rangefinder particularly versatile. The rubber armored metal housing makes it very resistant too, and you can’t neglect the Gen 2 ESP Turbo processor, which helps you take fast shots. Related: You need a CR2 3V battery to power up this rangefinder, so we recommend you get six instead. The Duracell Cr2 Lithium Photo Battery makes it so you’ll always have a replacement battery at hand, and you can confide in the Duracell quality. Or you can use the remaining five batteries for other devices you might have. 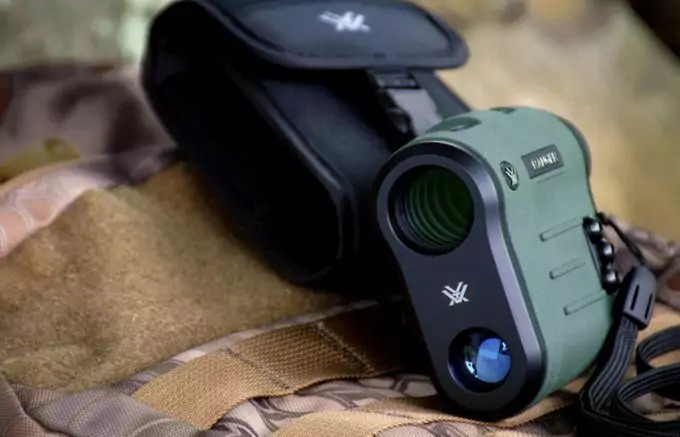 The Vikoo New Monocular Laser Range Finder is a good rangefinder for the medium range, considering it gives out measurements as far as 656 yards, in yards or meters. 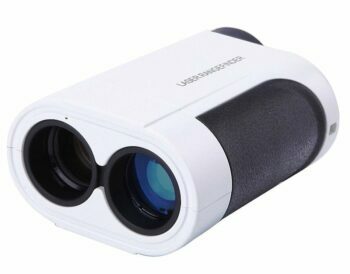 We like its versatility, so you can even use this rangefinder if you like to golf. But there is little info about the modes available for use, including the scan and flagpole modes. On the other hand, the retailer provides no information regarding the magnification and lens diameter of this product. That’s why we’d advise you to take extra care if you need a rangefinder for poor light, for small game, or for the longer range. However, the class 1 905 nm laser is good enough for accurate measurements, especially for the small price. We appreciate the vertical design, and the one-hand operation, as well as the durable body. 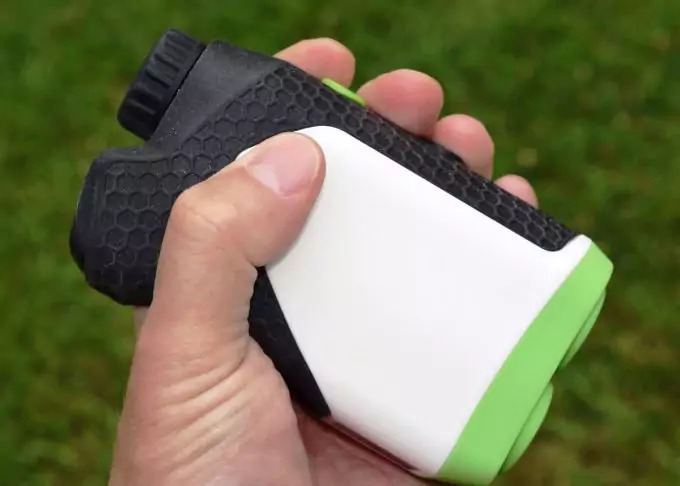 This is a rainproof and fog proof rangefinder, so you can use it in different weather. Related: An inexpensive rangefinder, with extreme versatility, is the TONOR Laser Golf Rangefinder that gives good measurements up to 650 yards. You can use it for golf since it has a golf mode, but it also works well enough for hunting and fishing. 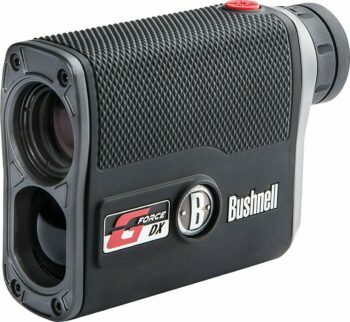 The Bushnell Bone Collector Laser Range Finder is a good rangefinder for the medium range because the maximum distance you can range it at is 600 yards for reflective targets. That means it ranges deer or other furry animals up to 250 yards. Besides this, there’s the 4x magnification which enables you to see enough details to take precise shots, if you’re after a medium-size game. Otherwise, a smaller game like varmint can’t be hunted with this rangefinder, unless you’re a true expert. It’s also pretty hard to see a dark target. The lens diameter is 20mm, which isn’t that amazing at dusk or dawn since it doesn’t allow enhanced light transmission. However, the in-view LCD display is great for reading the measurements, which are given with a +/- 1-yard accuracy. The design is great. 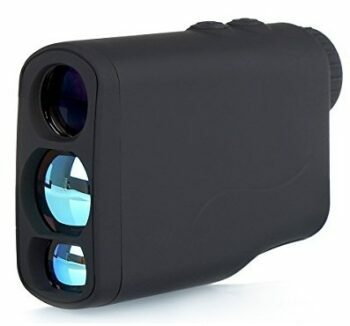 This is a compact, vertical rangefinder, with a weather-resistant housing, so you can use it regardless of the elements. The one button operation is easy, though it might pose some problems for beginners. 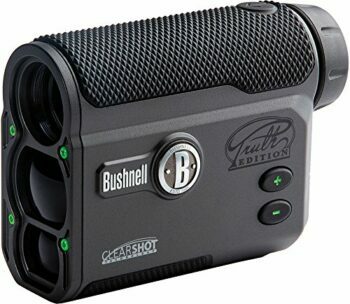 We like the class 1 <1 mW laser, and also the fact that Bushnell has thought to include a carry case for this device. Unfortunately, the case is pretty tight. It’s also rather hard to take the battery out of the rangefinder, and you won’t succeed without a screwdriver at hand. Related: You can get a comfortable, supportive harness for this rangefinder or your other optics. 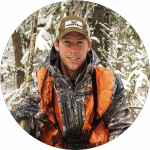 In this case, we recommend the Bushnell Deluxe Binocular Harness, which is affordable but provides great support thanks to its perforated back panel. This makes sure the weight of your optics is evenly distributed on your back, so you won’t experience any back pain even with the heavier devices. If you’re hunting with more than one weapon, you might be attracted by the Bushnell G-Force DX that covers a vast array of distances, from the short to the long range. If your hobbies include golf and you want a rangefinder that works for that too, you can choose the Crenova LR600. 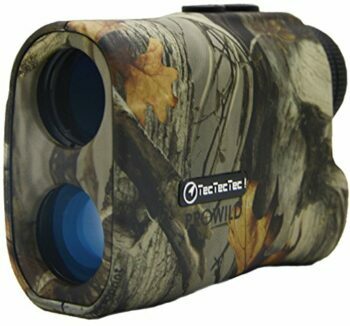 And if you need versatility, you can consider a rangefinder with multiple modes, like the TecTecTec ProWild. We encourage you to get the best product for you, though, even if it’s not on this list. Hopefully, we gave you enough info to make a good choice. So tell us what rangefinder you end up with. Have you tried one from our reviews yet? Let us know in the comments below!